Being a working parent of two young children, I try to limit how much time I spend on household errands. I am one of those shoppers who has become conditioned to shopping based on convenience and ease. Availability of the products I want, and need must be available to me via all channels I shop — always! There is nothing more frustrating than shopping online to have my order cancelled because it can’t be fulfilled or shopping in store and finding the shelf empty. Sometimes I can delay my purchase. But if not, I either look for an alternative product or I’ll take my business to another retailer. Either way, it means I’m taking my dollars elsewhere, and both the local retailer and consumer brand lose a sale and potentially long-term relationship should out-of-stock be a regular occurrence. 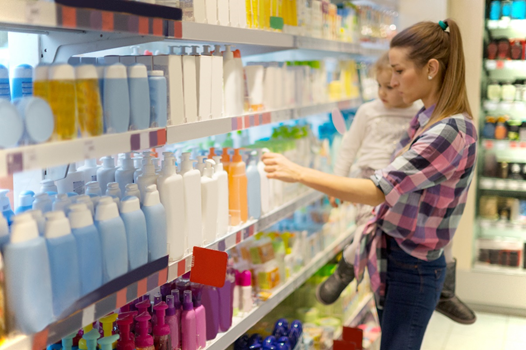 An improved SKU assortment using advanced analytics to more closely monitor, predict and provide a course of action for out-of-stocks may prevent this experience. Today, we can solve for this scenario and like scenarios by developing algorithms that provide predictive insights that optimize available SKUs, tailoring assortments by store to ensure products are stocked to meet consumer demand. An advanced analytics solution must be able to handle millions of SKUs and segment data into detailed comparisons. The outcome is the ability to maximize sales at every store by tuning product assortments using advanced analytics and visualization tools to enable insights. Doing this successfully could result in an estimated 5-10 percent sales increase. Azure offers several out-of-the box services that can be used to build a scalable analytics solution that is cost effective and comprehensive. And if developing a solution is not a viable option, Microsoft works with partners such as Neal Analytics who have proven capabilities solving this business challenge at scale. To determine how to solve out-of-stocks with a SKU assortment optimization solution, read the Inventory optimization through SKU Assortment + machine learning use case. This document provides options for solving the out-of-stock challenge and a solution overview leveraging Azure Services, including an approach by Neal Analytics, Microsoft 2017 Global Partner of the Year for business analytics.